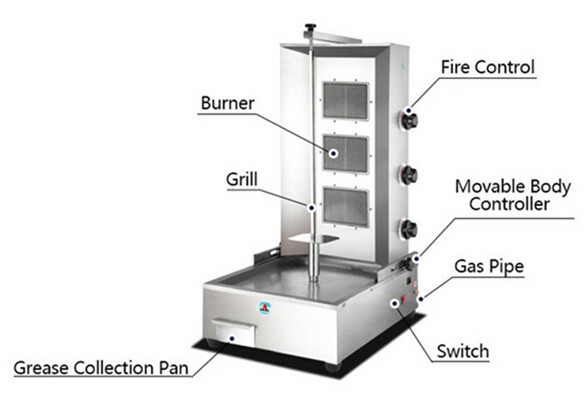 Gas shawarma machine is designed to make kinds of barbecue products to meet the demand of the world market. 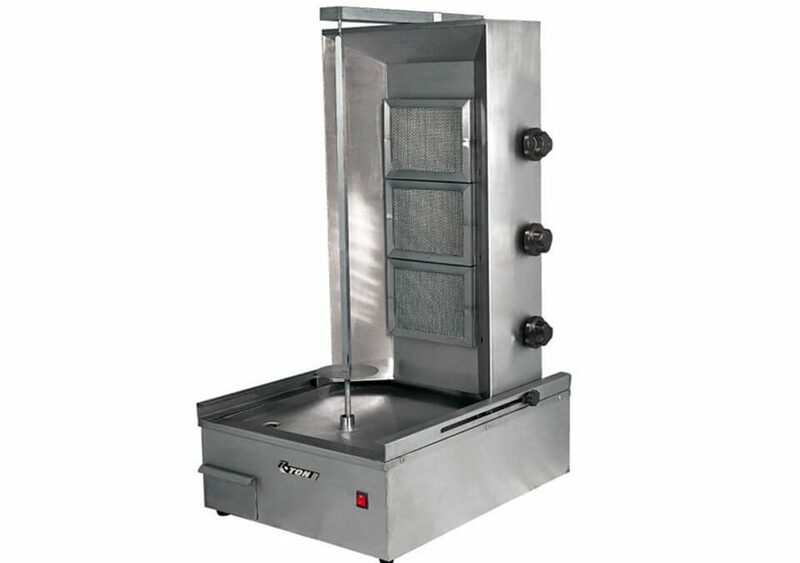 The doner kebab machine is mainly used in barbecue shop, flow barbecue, etc. 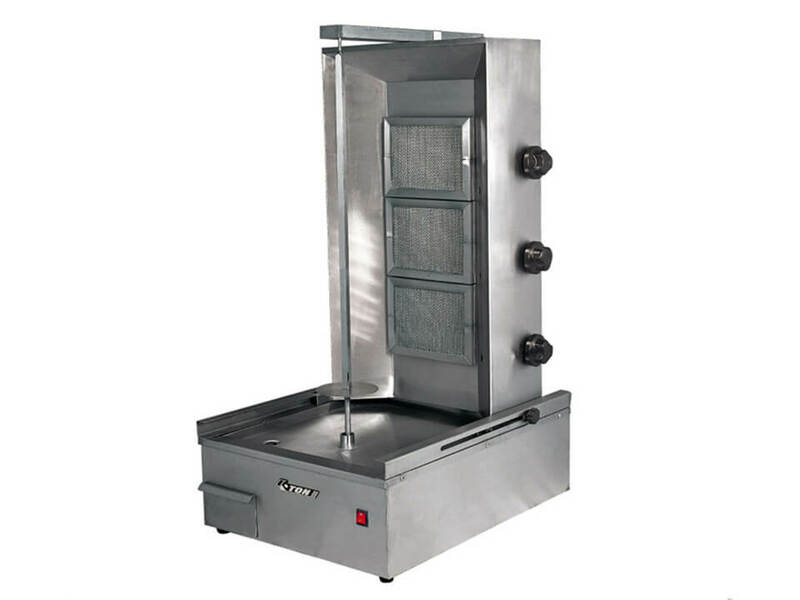 Suitable for various kinds of meat such as beef, lamb, chicken, minces, etc. With the advantage of low investment and high profit, choose amisy gyro machine to start your business is a good choice. 1. Made of stainless steel, advanced infrared technology and high efficient burner. 2. Fashionable style, reasonable structure, convenient operation and economic space occupation. 3. Three heating heads, and its fire can be adjusted; high efficiency and high quality. 4. The gyro machine can be applied to home, supermarket and fair. 1. 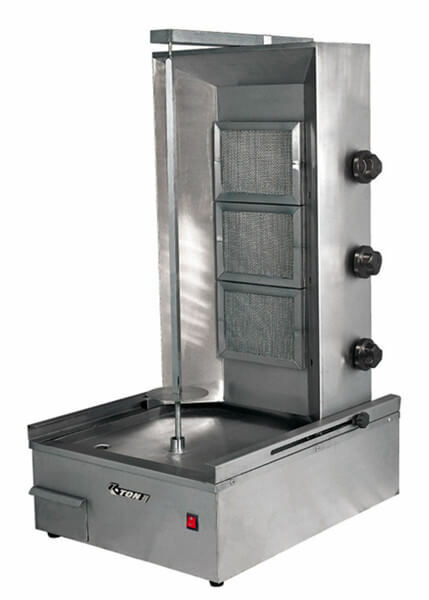 The gas vertical broiler should be placed in a stable position. 2. Pay attention to that the liquefied petroleum gas cylinder using low-pressure valve to prohibit the use of middle pressure or high pressure valves. 3. If leakage occurs, should turn off the gas valve, immediately open the windows, strengthening ventilation. Don’t close or open the power supply and ignition. 4. Don’t put the flammable material on the furnace body, or it may cause a burning fire accident. 1. Before clean and maintain the doner kebab machine, the power should be cut off in order to prevent accidents. 2. 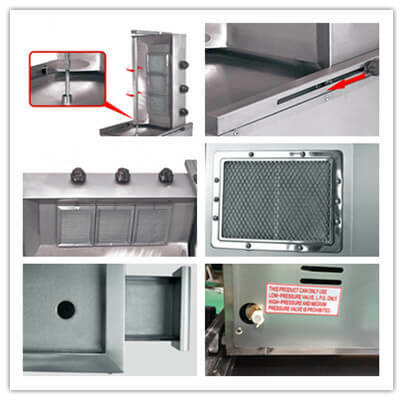 Please use no corrosive cleaning agents of the wet towel to clean furnace body surface and a power outlet surface after operation every day, it is strictly prohibited to rinse water directly.